Jeanne M. Bunyan, 90, of North Huntingdon, passed away peacefully on Thursday, November 29, 2018. She was born May 12, 1928 in Johnstown, Pa., a daughter of the late Lawrence and Mary (Marshall) Wesner. Prior to her retirement, Jeanne was an RN for Kane Regional Center and a member of St. Agnes Parish, North Huntingdon. She enjoyed baking and loved spending time with her family. In addition to her parents, she was preceded in death by her husband, James Bunyan in 1990. Friends will be received at the James W. Shirley Funeral Home, 176 Clay Pike, North Huntingdon on Sunday from 2-4 p.m. Interment will be private in Resurrection Cemetery, Moon Township. A Memorial Mass will be held on Saturday, December 15, 2018 at 10:00 a.m. in St. Agnes Church, North Huntingdon to celebrate Jeanne's life. www.shirleyfuneralhome.com. Audrey Maldonado, age 75, of McKeesport, died November 27, 2018, at UPMC McKeesport. Born August 24, 1943, in McKeesport, she was the daughter of the late Wesley Evans and the late Dorothy Seidling and the wife of the late Daniel Maldonado, Sr.
John F. Unterreiner, age 75 of North Huntingdon, passed away Wednesday, November 28, 2018. He was born in Braddock, a son of the late John M. and Jane D. Unterreiner. 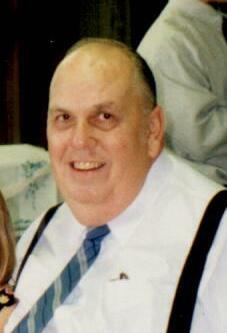 He was a long-time member of the Norwin Alliance Church in Irwin. He worked as a secretary for over 15 years at Westinghouse before working over 13 years at the Elliot Company in Jeannette. In addition to his parents, he is preceded in death by his wife of over 50 years Margaret H. Unterreiner; and his brother Ronald Unterreiner. He is survived by his children Lori (Jim) Dodds of Cape Coral, Florida, Andrea Unterreiner of Belle Vernon and David Unterreiner of Irwin; grandchildren Timothy Unterreiner, Brandon Dodds, Jaxon Slappo and Layla Slappo; and sisters Joan and Betty. Mary “Candy” Klotz, 92, most recently of Silver Spring, MD, passed away in her sleep on November 28, 2018, surrounded by those she loved. Born in McKeesport, PA, to the late Michael and Berthe “Bessie” Sidor Wargo, Mary was a resident of Duquesne for 15 years before moving to Munhall, where she resided with her beloved husband, Michael J. Klotz, until his death in 2011. She was a member of St. Peter and Paul Byzantine Church in Duquesne. As a homemaker, Mary is best remembered for her sparkling clean home, and cooking and baking skills. Family and neighbors looked forward to bountiful platters of homemade cookies and baked goods for the holidays, and it was not uncommon for her to hand-deliver casseroles of her secret macaroni and cheese dish to neighbors throughout the year. Ahead of the times, she practiced yoga and began studying the health benefits of herbs and food as medicine in the 1960’s. Tammy Jackowski, age 49 of Port Vue, died Wednesday, November 28, 2018. She was born April 28, 1969 in McKeesport and is the daughter of Beverly James Jackowski of Port Vue and the late Edwin J. Jackowski. Tammy was a former manager for the former Tube City IMS of West Mifflin, now TMS International. She enjoyed playing darts and was member of the dart league at Annie’s Hitching Post in Port Vue. 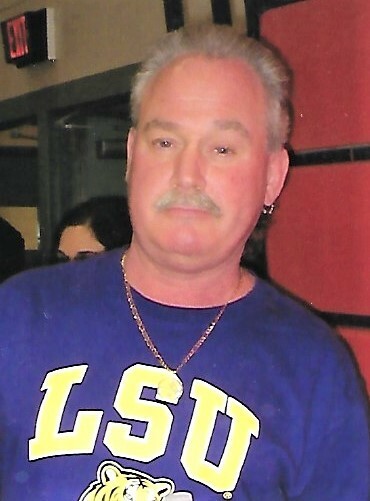 Mark C. Husok, known as "Hus" to his friends, age 58, of Christy Park, died November 28, 2018, at home. Born January 19, 1960, in McKeesport, he was the son of the late Steve and Rose (Navaroli) Husok and the loving devoted husband of Sandra (Chiaverini) Husok. Raymond W. Russo, age 77 of Clairton, passed away on Thursday, November 29, 2018 in Westmoreland Manor in Greensburg. Born February 2, 1941 in Clairton, he was a son of the late John W. and Angelina (Santora) Russo. 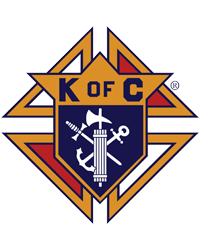 A former laborer at US Steel's Irvin Works in West Mifflin and US Navy Veteran, Ray was a a former member of St. Clare of Assisi Parish, the American Legion Daniel Keffer Post #75, and Sons of Columbus Santa Maria Council #3, all of Clairton. He is survived by his siblings John A. Russo of Glassport and Shirley Costello Orsini of Scottsdale, AZ, and also nieces and nephews. William A. "Bill" School, 82, of Elizabeth Township, passed away Wednesday, November 28, 2018. He was born May 14, 1936 in Hackett and was the son of the late Thomas "Jim" and Josephine (Terchick) School. Bill was a member of St. Michael Parish in Elizabeth Township and was also a member of the Monongahela Vol. Fire Co, Sutersville Sportsman's Club and the Mingo Sportsman's Club. He loved hunting, trap shooting, golf and trips to camp with the guys. 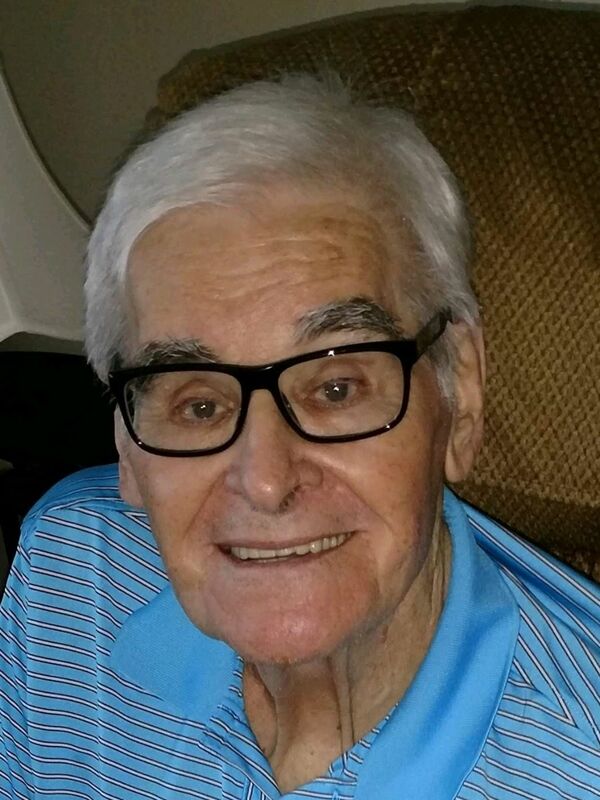 Olindo Rozzi, age 88, of Avon Lake Ohio, formerly of McKeesport, died November 27, 2018, at O’Neill Health Care/Hospice of Bay Village Ohio. Born May 30, 1930, in McKeesport, he was the son of the late Paolo and Oneglia (Sgattoni) Rozzi and the husband of Valerie (Galka) Rozzi for over 55 years. 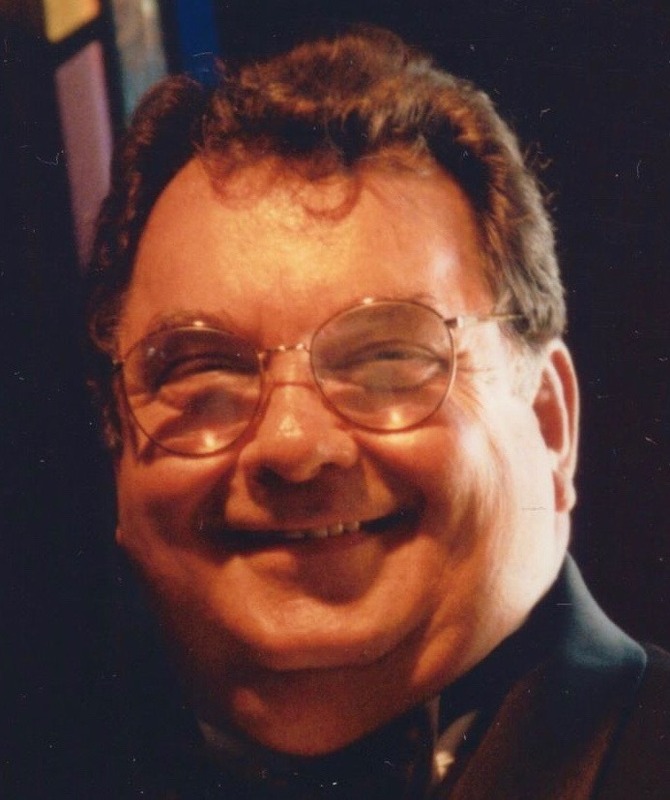 Joseph J. Hrezo, age 72, of Jefferson Hills, passed away on Tuesday, November 27, 2018 at home. An Army veteran having served during the Vietnam War, he retired as a millwright at US Steel Irvin Works in West Mifflin and he enjoyed fishing. Magdalena Dansco, age 90, of McKeesport, died peacefully on November 27, 2018 with her family by her side. She was born in McKeesport on October 1, 1928 and is the daughter of the late Peter and Victoria Mikorski Boyko and the wife of the late William Dansco, Sr. She is survived by her son, William (Michele) Dansco, Jr. of Gambrills, MD; daughter, Susan M. (Ray) Boronyak of Elizabeth Twp. ; grandchildren, Christine (Tim) Bowers, Raymond (Jessica) Boronyak Jr., Andrew, Nicholas and Matthew Dansco; great-grandchildren, Addison and Taylor Bowers and Lucy Boronyak; preceded in death by her 8 siblings. Dennis Edward Forgash, 64, of Waldorf, Maryland, passed away on November 20, 2018 at Georgetown University Hospital in Washington, DC. Born on June 5, 1954 in McKeesport, Pennsylvania and raised in Duquesne, PA, he was the son of the late Elizabeth Sudzina Forgash and Walter Forgash. Dennis worked with Roberts Oxygen and was associated with other gas companies throughout his career. He enjoyed playing golf, doing yard work, being a handyman, rooting for Jeff Gordon, his favorite NASCAR fan and the Pittsburgh Steelers. Dennis was of the Catholic faith and attended Our Lady Help of Christians Catholic Church in Waldorf. In addition to his parents, he is preceded in death by brother Walter E. Forgash. Dennis is survived by his loving wife and companion Janis D. Lafont; children Claire Johns and her husband Mike, Douglas Lafont and his wife Lee Ann; grandchildren Otis Robert Johns, Dayton Michael Lafont and Dylan Michael Lafont; brother David Forgash and his wife Carol Ann; nephew David A. Forgash and his wife Dawn; former spouse Sharon Fairhust; other relatives and friends. It is with great sadness that the family of Jeremiah Mark Scheafnocker Milliken announces his passing, after a long struggle with diabetes, November 25, 2018, at the age of 37. William R. McNamee, age 60, of North Huntingdon, died on Saturday, November 24, 2018. He was born in McKeesport on July 29, 1958 and is the son of Loretta Jones (James) Cunningham and the late Regis McNamee. He was a driver for S&S Transit in North Versailles until he retired. 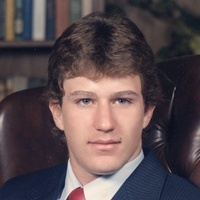 In addition to his mother and step-father, he is survived by his daughter, Sara Fiorentino of Spring Hill, Florida; brother, Craig “Big” (Vicki) McNamee of White Oak; sister, Erin McNamee of North Huntingdon; nieces and nephews. Ralph R. Courtley, 86, of North Huntingdon, passed away Monday, November 26, 2018 at Excela Health Westmoreland. He was born, December 22, 1931, in Braddock, a son of the late Robert and Christina (Wigle) Courtley. Prior to his retirement, he was a security guard for Mesta Machine Company. Ralph was an avid gardener and enjoyed reading, especially his Bible, cooking, and spending time with his family. In addition to his parents, he was preceded in death by his wife, Audrey Dingel Courtley; and sister, Edna Bowman. 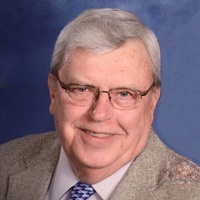 He is survived by his son, Robert Courtley and his wife, Camille; daughters, Linda Gabersek and her husband George, Sandra Carson and her husband Warren; grandchildren, Sarah, Rachel and Jacob Courtley, Scott and Jaison (Kelly) Marshall, Jennifer (Will) Stouffer, Jeffrey, Darryl and Tony Carson, Chad Gabersek and Jessica Atwater; and five great-grandchildren, Friends will be received at the James W. Shirley Funeral Home, Clay Pike, North Huntingdon, on Thursday from 2-4 and 6-8 p.m. A funeral service will take place on Friday at 11 a.m. in the funeral home chapel. Interment in Brush Creek Cemetery. In lieu of flowers, donations may be made to St. Jude Children's Research Hospital. www,shirleyfuneralhome.com. 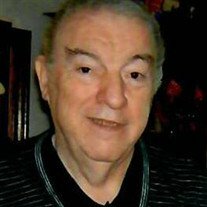 Richard E. Kushner, Sr., 82 of West Mifflin, died Nov. 25, 2018. He is the son of the late George and Helen Kushner. He is the husband of the late Judith (Burch) Kushner and is survived by his daughters Lisa (Joseph Malloy and Denise (Robert) Bartolomeo; son Richard Kushner, Jr; grandchildren Joey Malloy, Kevin and Korey Bartolomeo; great granddaughter Kenley bartolomeo and sister-in-law Helen Kushner. Richard was an avid hunter and fisherman. Funeral arrangements by Wojciechowski Funeral Home, Glassport. Francis “Fran” Paul Orban, age 79 of North Huntingdon, passed away Sunday, November 25, 2018. He was born November 24, 1939 in Pittsburgh, a son of the late John and Katherine (Pavlakovic) Orban. He was a member of St. Elizabeth Ann Seton Catholic Church in North Huntingdon. He was a 20 year Air Force veteran that went onto work for the Cheswick Post Office for over 19 years before retiring in 2002. In addition to his parents, he is preceded in death by his grandson Michael Orban; son-in-law Greg Baker; brothers Joseph, Stephen, Gerald and Michael Orban; and sister Catherine Cush. His is survived by his wife of over 57 years Dorothy (Livingstone) Orban; children Joseph Orban, Stephen Orban, Timothy (Linda) Orban, Michael (Gina) Orban and Katherine Baker; 12 grandchildren; 6 great grandchildren; and brothers James (Kathleen) Orban and John (Theresa) Orban. 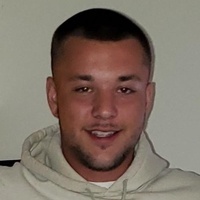 Ronald Henry Smith III, 20, of Greensburg, formerly of Elizabeth Township, died Sunday, November 18, 2018. Ronnie was born May 9, 1998 in Pittsburgh, PA. He loved riding dirt bikes, snow boarding, hunting, fishing, working outside and drawing. Ronnie had a smile that could light up anyone's life. He is survived by his son, Tristan I. Yafchak, Ronnie's mother, Desiree (Mihalic), her husband, Todd Corbett, & Ronnie's father, Ronald H. Smith, II. Ronnie is also survived by his siblings, Breana, Brody & Conner, grandparents, Andrew Mihalic and Ronald & Ruth Smith. Tena Ruth Johnson Pletcher, 92, of Buena Vista passed away Thursday November 22, 2018. She was born April 23 1926 in Buena Vista, the daughter of the late Ralph L. and Ruth Odessa (McClean) Johnson. She owned and operated the Ralph L. Johnson Funeral Home in Buena Vista having been a licensed funeral director for nearly 70 years. After graduating from high school in 1944 she approached her father and convinced him she wanted to become a funeral director. She attended Pittsburgh Institute of Mortuary Science. After graduating from mortuary school Ruth served her two year apprenticeship at the family funeral home in Buena Vista. Walter "Jay" James Alcorn, Jr.
Walter "Jay" James Alcorn, Jr., age 77 of Allen, TX and formerly of Clairton, passed away at home on Wednesday, November 21, 2018. Born July 8, 1941 in McKeesport, he was a son of the late Walter J. Alcorn, Sr. and Gladys (Kerr) Alcorn. A retired welder for James F. Kemp, Inc. of Clairton, Jay was a veteran of the Pennsylvania National Guard and a board member and past commander of the American Legion Daniel Keffer Post #75 of Clairton. 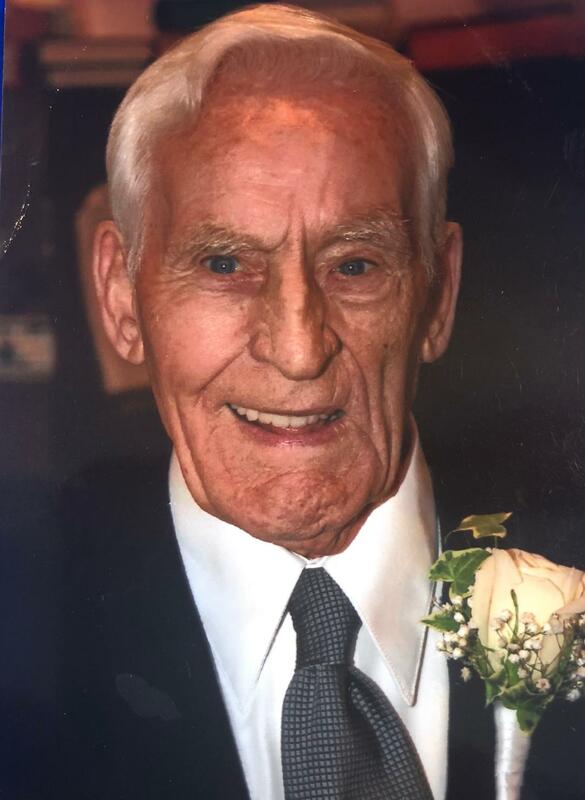 William Elmer Smith, age 91 of Clairton, passed away on Sunday, November 25, 2018 in Grandview Estates in Elizabeth Twp. Born October 20, 1927 in Floreffe, he was a son of the late Ellsworth F. and Blanche Irene (Keenist) Smith. A member of St. Clare of Assisi Parish in Clairton, William worked as an inspector for Firth Sterling in McKeesport and also on the railroads. 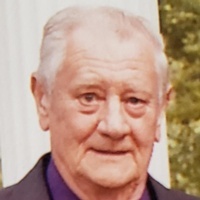 Donald J. Jackson, age 86 of North Huntingdon, passed away on Saturday, November 24, 2018 in UPMC McKeesport Hospital. Born January 15, 1932 in McKeesport, he was a son of the late Anton and Agnes (Brletic) Jackson. A retiree from the Pennsylvania Liquor Control Board in Olympia Shopping Center, Donald was a US Marine Corps Veteran of the Korean War and a member of St. Angela Merici Parish in White Oak, CFU #3 in McKeesport, the Archer Hill Bowling League, the White Oak American Legion, and Club Dobrotvor. Lydia Cowans, age 89, of McKeesport, died on November 24, 2018. She was born in Selma, Alabama on January 2, 1929 and is the daughter of the late Daniel Scott and Hannah Patt. 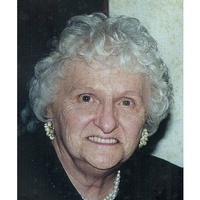 Lydia was a nurse’s aide for over 45 years at Mercy Hospital of Pittsburgh. William J. 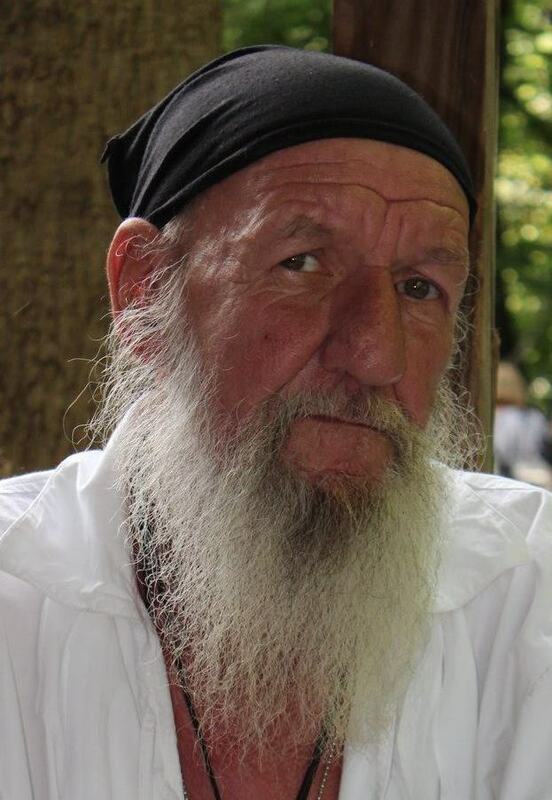 Hall, age 51, of Pittsburgh, formerly of White Oak, died unexpectedly on November 22, 2018, at home. Born November 10, 1967, in McKeesport, he was the son of the late William E. and Katherine Ann (Fulton) Hall. Henry H. DeVault, age 96, of Elizabeth, passed away on Saturday, November 24, 2018 at Jefferson Hospital. He was a retired blast furnace foreman at U.S. Steel Clairton Works and a U.S. Army Veteran of World War II. He was a member of the Bethesda United Presbyterian Church and the Stephen Bayard Masonic Lodge #526, both in Elizabeth. Born June 11, 1922 in Morgantown, WV, he was a son of the late Henry N. and Beulah (Farrell) DeVault. Mary S. Dora, age 72, of Elizabeth, passed away on Saturday, November 24, 2018 at Mon Valley Care Center. A 1964 graduate of Elizabeth Forward High School. Mary earned her Bachelor of Science degree in business education from Shippensburg University of Pennsylvania, an elementary degree from California University of Pennsylvania and a master’s degree from Indiana University of Pennsylvania. She was a teacher for the South Allegheny School District for 40 years both as a business education teacher and elementary teacher and retired in June of 2008. Sylvia Moidel Byer, age 94, of White Oak, died Nov. 24, 2018. She was born in Pittsburgh on October 5, 1924 and is the daughter of the late Morris and Leah Barad Moidel. She is the wife of the late Harold B. Byer. Mrs. Byer is the former Executive Secretary for the Downtown McKeesport Association, former Executive Secretary for the Industrial Health Foundation and was formerly with the PA Department of Health Energy Department. She served as a WAC at the rank of Sergeant in the Army Medical Corps during WW II. She was a graduate of Schenley High School, attended Robert Morris Secretarial School and Duff’s Business College. Emmanuel Perkins, age 67, of North Versailles, died on Saturday November 24, 2018. He was born in Perryopolis on May 3, 1951 and is the son of the late William and Edna Forsythe Perkins. Emmanuel was self-employed in the construction business. He is survived by daughters, Brenda (Stephen) Stewart of North Versailles; Sylvia (Daniel) Jordan of Ralh, PA; Samantha Perkins of North Versailles; Irene Perkins of Wilmerding; sister, Irene Newman of Greensboro, PA; 14 grandchildren; 13 great-grandchildren and one on the way. He is also survived by his former wife, Mary Ann Taylor of North Versailles. 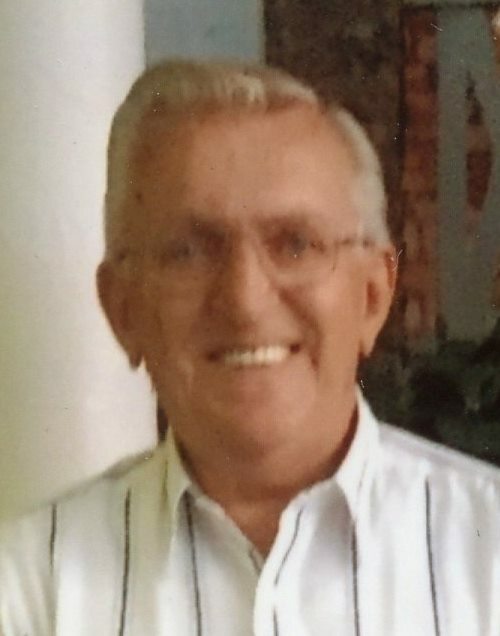 Walter B. Yager, 75, of North Huntingdon, passed away Wednesday, November 21, 2018. He was born April 20, 1943 in Versailles Boro, a son of the late Walter B. and LaVerne (Sullivan) Yager. Prior to his retirement, Walter was a CFO for Braddock Medical Center for 30 years and was a member of St. Agnes Parish. He was a graduate of McKeesport High School Class of 1961. Walter was involved in the Boy Scouts of America, McKeesport Boys and Girls Club, volunteered with the veterans organizations and brought the Vietnam Wall to Renzie Park in August with the dedication and help of his friend, Ryan Dinicola, and dedicated it to his son, Sean. He was also involved with the Vietnam Veterans Inc., Vietnam Breakfast Club and the McKeesport Lions Club. Walter was a kind and generous man that would give you the shirt off his back. In addition to his parents, he was preceded in death by his son, Sean Yager. He is survived by his loving wife, Lavonne (Chancio) Yager; daughter, Holly Adam and her husband, Dale; half-brother, Robert Kappler Jr.; his three grandchildren who he adored and they called him "BUM", Cody, Kayla and Ryan. Friends will be received at the James W. Shirley Funeral Home, 176 Clay Pike, North Huntingdon on Saturday 6-8 p.m. and Sunday 2-4 and 6-8 p.m. A Mass of Christian Burial will take place on Monday at 10 a.m. in St. Agnes Church. In lieu of flowers, donations may be made to the family. www.shirleyfuneralhome.com. Andrew Goscinsky, age 81, of McKeesport, died November 19, 2018, at home. Born January 12, 1937, in McKeesport, he was the son of the late Mike and Kathryn (Hnizdur) Goscinsky. , age 63 of Greensburg died November 21, 2018 at her home. She was born February 2, 1955 in West Virginia, a daughter of the late Willard and Maxine Sypolt Kleppinger. Joyce was a member of the Norwin Church of the Nazarene. She was musically inclined and enjoyed southern gospel music. She was preceded in death by her beloved husband, Mark in 2016, and one stepson. She is survived by her son Todd and his wife Carrie, one daughter, Amy Gurki, two stepsons, two sisters, Patti Smith (Rick Morris), Dawn Jalosky (David), 8 grandchildren. There will be no visitation. A memorial service will be held Saturday, November 24 at 11 a.m. at the Norwin Church of the Nazarene with Pastor Nate Patnode officiating. Memorials may be made to the family in lieu of flowers. www.shirleyfuneralhome.com. Margaret J. Barnocky, 87, of Port Vue, passed away Tuesday, November 20, 2018. She was born March 14, 1931 in McKeesport and was the daughter of the late John C. and Margaret B. (Timar) Winter. She was a member of St. Mark Parish-St. Joseph Worship Site and had worked at the former Katzman's in McKeesport. 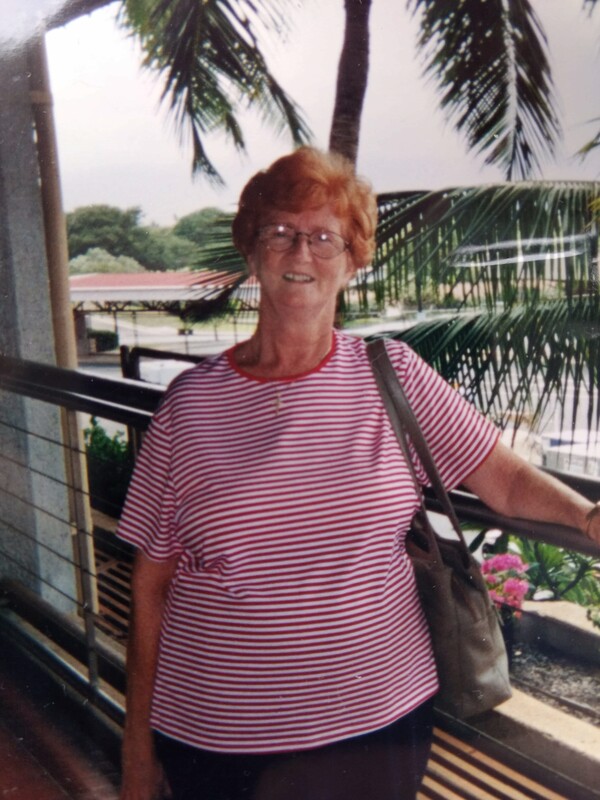 Margaret was an avid bowler and shopper and enjoyed Casino's and dining out. She is survived by her husband of 66 years, William E. Barnocky and daughter, Betty Jean Barnocky of Port Vue. Dorothy R. Gilbert, 88, of Elizabeth Twp., passed away peacefully in her home, Tuesday, November 20, 2018. She was born March 25, 1930 in McKeesport and was the daughter of the late John H. and Helen Livingstone Rudd . She was the wife of 66 years to the late David S. Gilbert, Jr., who passed away May 11, 2015. Dorothy was known for her hospitality, as she carried on a tradition of having traditional English dinner for her family every Sunday and holidays. Her sense of humor, quick wit and joyful spirit brightened family times together. She was a woman of class, integrity and wisdom. Dorothy was a generous and devoted caregiver as her presence and dedication brought comfort to the many she helped. She was a fashionista and was very artistic and creative, designing jewelry and floral designs, as well as sewing and gardening. It is with great sadness that we report that Joanne M. (Dudek) Wassel, 61, of McKeesport has passed peacefully at her home on November 20th, 2018, surrounded and comforted by her family who loved her deeply. She was born March 21, 1957 to the late Peter and Carmella (Princeton) Dudek of McKeesport. 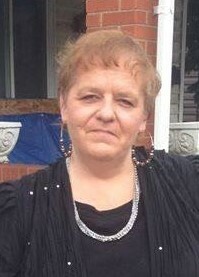 Tracey Ann Martonyak, 53, of Elizabeth Township, passed away Tuesday. November 20, 2018. She was born February 7, 1965 in McKeesport and was the daughter of Irene M. (Sandusky) Martonyak of Elizabeth Township and the late Bernard D. Martonyak who died September 22, 2006. 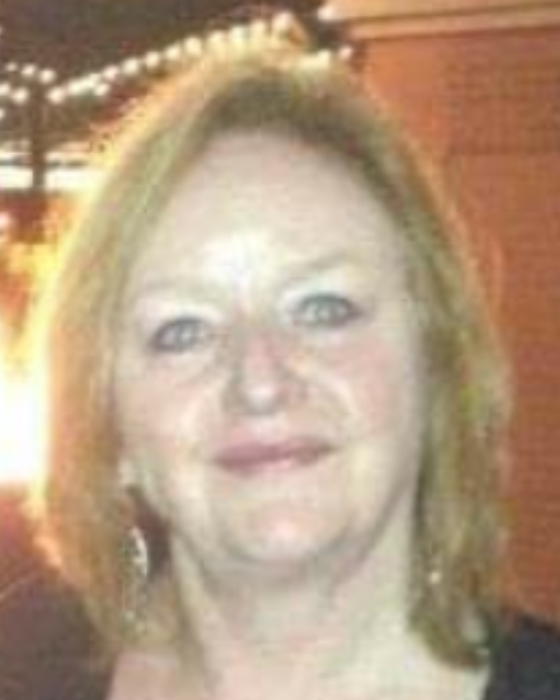 Tracey was a member of St. Patrick Parish in Christy Park and was an Accounting Clerk for FMS in Pleasant Hills. 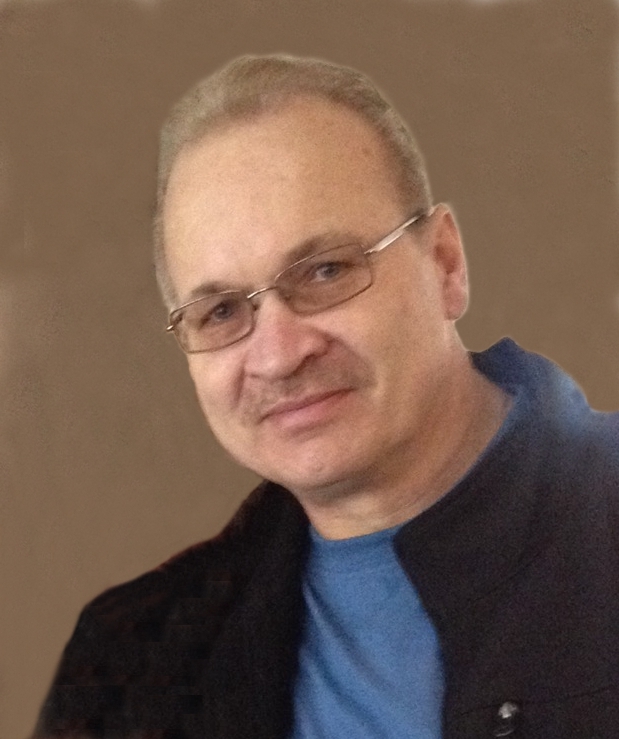 Paul M. Rae, age 59 of North Huntingdon, died on Tuesday, November 20, 2018. He was born April 22, 1959 in McKeesport, the son of Joan B. Opperman Rae from North Versailles and the late Robert G. Rae. He was an avid sports enthusiast especially football and baseball. Anastasia "Ann" Visocky, 95, of Redstone Highlands North Huntingdon, passed away Sunday, November 18, 2018. She was born on October 19, 1923 in Mt. Pleasant, PA, a daughter of the late Edward and Lottie Skero. She was preceded in death by her sisters, Florence Potocki, Elizabeth Honeychuck, Irene Palko, and Mary Kuzar; and her son-in-law, Daniel Kovac. She is survived by her husband of 71 years, Frank J. Visocky; children, Edward Visocky (Denise), Janet Kovac, Catherine Tokar (Robert); grandchildren, Jena (Andy) Whipkey, Danielle (Scott) Lang, Jake (Nicole) Kovac, and Corey Tokar; great-grandchildren, Hannah Lang, Mason Lang, Xavier Lang, Aaron Kovac and Luke Kovac; sister, Vi Shilbilski; brother, Walter Skero; as well as many nieces and nephews. Ann was a devoted wife, mother, grandmother and great-grandmother. She was a member of St Agnes Catholic Church in North Huntingdon and the Christian Mothers. She loved baking, crocheting, and socializing with people. She will be fondly remembered for her patience, beautiful smile and caring affection toward everyone she met. She will be dearly missed by all. 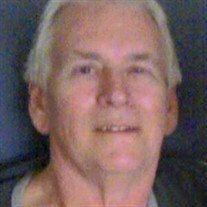 Ronald John Vojtko, 72, of South Carolina formerly of North Huntingdon, died Friday November 16, 2018 at his home. He was born December 7, 1945, in Braddock a son of the late John and Bertha (DeLuca) Vojtko. He was the owner of Ron’s Roofing Company, of North Huntingdon. He was a member of Immaculate Conception Church, of Irwin and attended St. Elizabeth Ann Seton Church, of North Huntingdon. Surviving is his wife Judith (Files) Vojtko; two children Lisa Montore and her husband, Joseph, of North Huntingdon, Randall G. Vojtko, of Myrtle Beach, South Carolina; two grandchildren Sydney Ruggeri and Lily Montore; a sister Christine Bostedo of North Versailles; a cousin William Fong of Delmont and three pet yorkies, Dexter, Tyler and Charley. James Thomas Ferrero, 82, of Elizabeth Township, passed away at home on Saturday, November 17, 2018. He was born June 12, 1936 in Clairton and was the son of the late John J. and Caroline (Zajovsky) Ferrero. James was a member of St. Michael Parish in Elizabeth Township and was a US Navy Veteran. He was proprietor of the James Ferrero Beauty Salon in Elizabeth for over 40 years. Leonard J. Foremsky, 88, of Delmont, died peacefully Thursday, November 15, 2018 in U.P.M.C. East, Monroeville. Born October 9, 1930, in Duquesne, he was the son of the late John A. and Anna G. (Lipnicky) Foremsky. Mr. Foremsky was a member of Holy Trinity Roman Catholic Church, West Mifflin and a U.S. Army veteran of the Korean conflict. Mr. Foremsky had a M.B.A. Degree from Duquesne University and was a retired accountant from U.S. Steel Corporation, Universal Atlas Cement Company, and General Refractory's. He also was an avid Steelers and Pirates fan. He is survived by a brother, Robert Foremsky of Delmont and several cousins. Linda L. (Bentley) Brilhart, age 61 of Clairton and formerly of Jefferson Hills, passed away on Friday, November 16, 2018 in St. Clair Hospital, Mount Lebanon. Born September 22, 1957 in McKeesport, she was a daughter of the late William L. Isenberg and Ruth O. (Halt) Isenberg Bentley. Linda was a graduate of Thomas Jefferson High School and attended C.C.A.C. South. She was employed as an Emergency Room Technician at St. Clair Hospital. With her passing, Linda was a gracious organ donor through CORE. Albert P. "Bud" Rippel, age 93, of Forward Twp., passed away on Saturday, November 17, 2018 at The Residence at Hilltop. 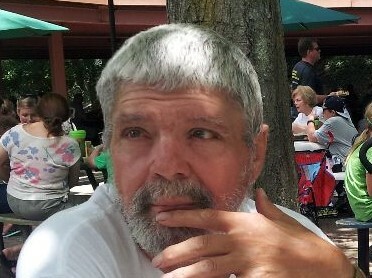 He was a retired farmer at Rippel Farm in Forward Twp. and a retired director and treasurer of Old Elizabeth Mutual Fire Insurance Company where he served for 28 years. He was a member of the Stephen Bayard Masonic Lodge #526 of Elizabeth, the Washington County Farmer’s Association and a former member of the Round Hill Presbyterian Church in Elizabeth Twp. John A. Kondos, age 48 of West Mifflin, died Friday, November 16, 2018. He was born September 30, 1970 in McKeesport and is the son of Andrew and Anna Kalpidou Kondos of West Mifflin. In addition to his parents, John is survived by his brothers; Constantine “Dean” (Cathy) Kondos of White Plains, NY, James (Nadia) Kondos of Jefferson Hills, and nieces; Dimitria, Elana and Anna Kondos; uncles, Lazaros(Athoula) Kalpidis of Athens, Greece, and Theodore (Katherine) Kondos of Elizabeth, cousins; Cleo Kalpidou Ioannidou and Ioannis Kalpidis, and many uncles, aunts, nephews, and cousins residing in Athens, Greece. John was a special Olympian in running, bowling and basketball in the Special Olympics. He enjoyed writing and coloring and traveling to Greece with his family. 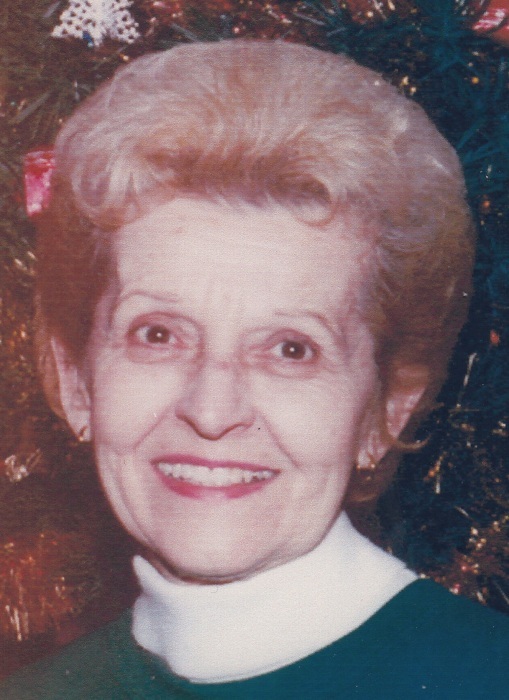 June F. DiSciullo, age 81, of McKeesport, died Nov. 15, 2018, at UPMC McKeesport. Born Aug. 20, 1937, in McKeesport, she was a daughter of the late Raymond M. and Margaret (Edwards) Farley. She is survived by her husband, Anthony. 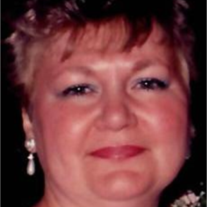 Cheryl E. Becker, age 61, of McKeesport, died November 10, 2018 at home. Born October 6, 1957, in Akron, Ohio, she was the daughter of Gerald Allen & the late Sara Louise (Burke) Bentley and the wife of the late Leo “Ed” Becker. Domenick E. Paige, age 81, of Christy Park, died November 14, 2018, at Kane Community Living Centers. Born October 18, 1937, in Turtle Creek, he was the son of the late Nicholas and Frances (Flotta) Paige and the husband of Nancy (Fath) Paige. Gertrude Marie Kane, 79, of Allison Park, passed away on Wednesday, November 14, 2018. She was born January 28, 1939 in Port Vue and was the daughter of the late Oscar and Elizabeth (Fencik) Metz. She was predeceased by her husband, James P. Kane. She worked as an executive secretary for over 35 years for Alcoa and remained an active and enthusiastic member of the Alcoa Retirees Club. Gertrude had a great zest for life and loved to travel, especially to Aruba and Hawaii. She was the life of a party and her spirit will be missed by many. 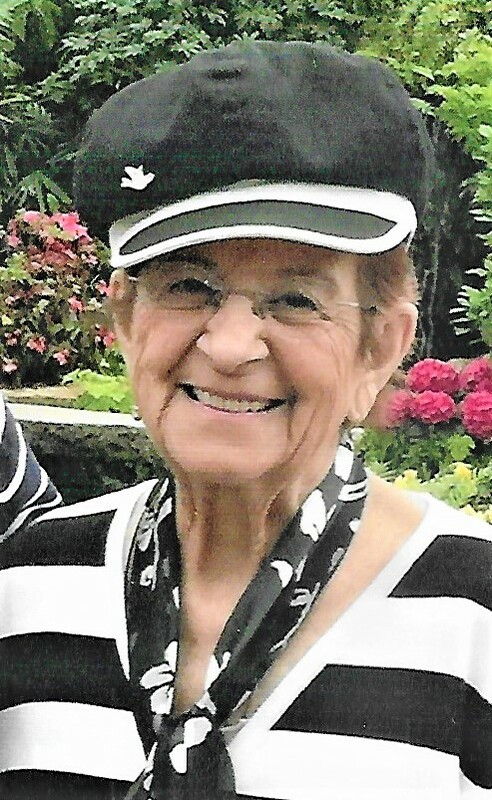 Phoebie P. (Henry) Hrezo, age 79, of Elizabeth Twp., passed away on Wednesday, November 14, 2018 at Jefferson Hospital. She was a former member of St. Michael Parish in Elizabeth Twp. 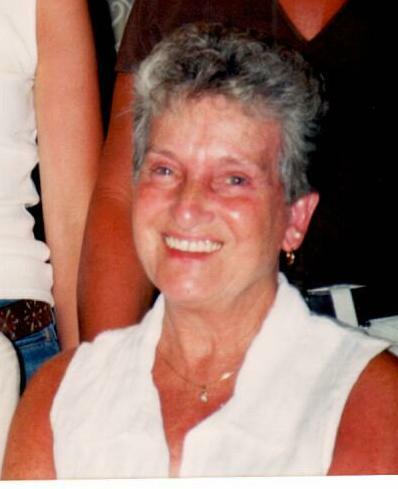 Maureen E. McGuire, age 75, of White Oak, died November 15, 2108, at Forbes Hospital, in Monroeville. Born August 1, 1943, in McKeesport, she was the daughter of the late Francis and Elizabeth (Mann) Norton and the wife of the late Thomas F. McGuire. Elizabeth Elaine Kimball, age 79 of Clairton, made her transition to her heavenly home on Wednesday, November 14, 2018. Born August 13, 1939 in Follansbee, WV, she was a daughter of the late Bert and Olive Crum. Besides her parents, Elizabeth was preceded in death by her husband Roy E. Kimball, who passed away September 24, 1997; her sons Paul E. Kimball and David Crum; her brother David Albert Crum; her daughter-in-law Ruth Kimball; and her son-in-law Don Smith. 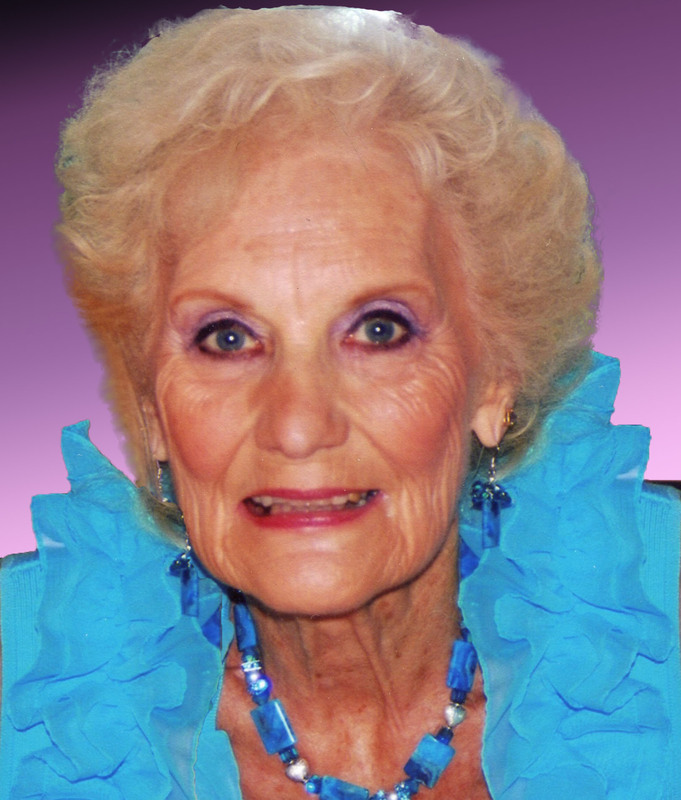 Roslyn “Roz” Phillips of Glassport, formerly of White Oak, passed peacefully on November 14, 2018 at the age of 94. Married November 4, 1944, she joins her husband of 74 years, Melvin “Mel” Phillips, who passed in 2010. Roslyn was born March 8, 1924 in Vanderbilt to Mary Pepe and Joseph Bonadio. She grew up and raised her family in Glassport, PA.
Roslyn was in the beauty business for many years beginning with Roslyn’s House of Beauty. While traveling with Breck Color Company sharing her expertise, Roz and her husband decided to open Roz-Mel’s Beauty Salon. Continuing to follow her dreams, Nadine’s Coiffure and Boutique was opened, which brought Roslyn great joy to have her family working together. After retiring from the beauty business, she worked as a bookkeeper for Quality Inn and Brandywine Agency. Known for her tenacious energy and work ethic, Roslyn worked into her 80s and became a Community Health Ambassador with Pitt’s Center for Healthy Aging where she shared her secrets of longevity. She was an active member of her churches by serving as a choir member, reader and eucharistic minister. Throughout her life, she enjoyed dancing, doing the jitterbug with her brothers, listening to Sinatra, playing Bingo and card games with family and friends and wearing hats! Roslyn was intensely proud of her daughter, Nadine and son-in-law, Jim Rossini of Bethel Park, as well as her grandsons, Justin (Cassie Dennis) of Lawrenceville and Aaron (Ali Rose Dachis) of Brooklyn, New York. 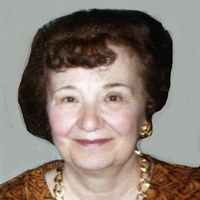 Roslyn will be missed by her brothers Frank, William and Hank Bonadio, and sister-in-law, Florence Bonadio along with many loving nieces, nephews, cousins, and dear friends. In addition to her husband and parents, she was preceded in death by her sister, Josephine Miller, brothers Nate and Emmett Bonadio, and in-laws Earl Miller, Irene, Margie, Linda and Lois Bonadio. Donna W. McGregor, age 84, died on Wednesday, November 14, 2018. She was born May 2, 1934 in Charleroi, the daughter of the late Charles and Beatrice Thayer Welch, and the wife of the late William McGregor. Donna enjoyed cooking, baking, traveling, and was once an avid bowler. She always made time to take care of her family, especially her grandchildren. 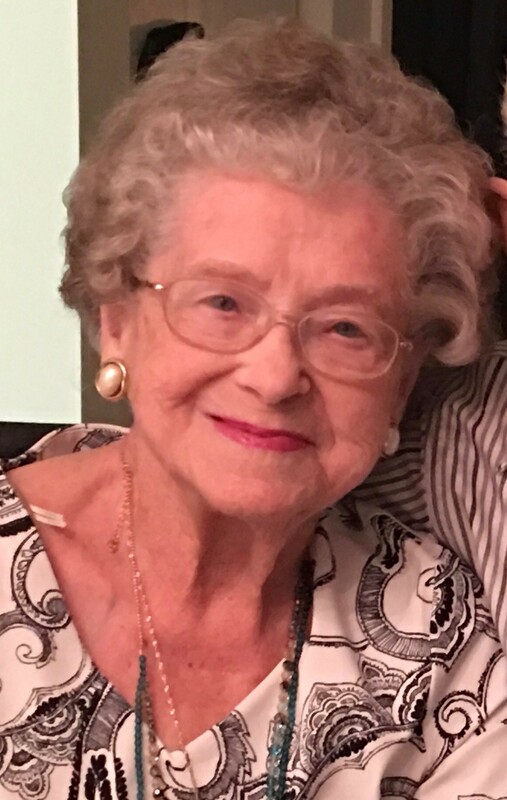 Helen Eleanor Pucalik, age 94, died November 13, 2018, went to her reward following a brief illness. Born on October 23, 1924, she was the daughter of the late Slovak immigrants Jozef A. and Maria I. (Lelak) Tomko and the wife of the late Andrew Pucalik for 72 years. Robert S. Koncerak, 87 of North Huntingdon died November 14, 2018 at Transitions Healthcare, North Huntingdon. He was born July 27, 1931 in North Braddock, a son of the late Stephen and Margaret Paylo Koncerak. Robert was a member of St. Agnes Church, North Huntingdon. Prior to his retirement, he was employed as a draftsman by Westinghouse Electric. He enjoyed camping, fishing, spending time with his sons and was formerly involved with the Boy Scouts. He was preceded in death by his brother Frank Koncerak, two sisters, Margaret Balacko and Irene Kovac. He is survived by his dearly, beloved wife of 65 years Catherine Crans Koncerak, four sons, Edward, Robert (Carol), William (Betsy), Kenneth (Adrienne) 6 grandchildren, 1 great grandchild. Friends will be received at the James W. Shirley Funeral Home, 176 Clay Pike, North Huntingdon, Pa on Friday 2-4,6-8 p.m. A funeral mass will be held Saturday at 10 a.m. at St. Agnes Church followed by interment in Braddock Catholic Cemetery. Memorials may be made to the White Oak Animal Safe Haven. www.shirleyfunerlalhome.com. Mardale Harris Tremont, age 84, of Forward Twp., passed away on Monday, November 12, 2018 at Grandview Estates of Elizabeth. She retired as a rural mail carrier for the U.S. Postal Service and was a member of St. Isaac Jogues Roman Catholic Church in Jefferson Hills. Upon retirement, she enjoyed wintering in Florida where she was a member of the Ladies Nine Holers at Kelly Greens in Fort Myers. Delores J. (Abel) Semcoski, age 79, of Elizabeth Twp., formerly of Donora, passed away on Sunday, November 11, 2018 at North Memorial Health in Minnesota. She retired as a secretary for McHolme Construction. 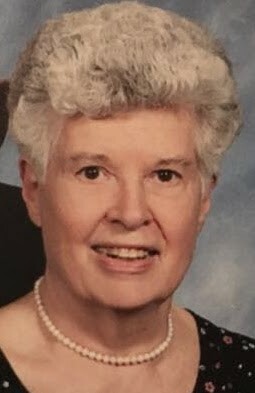 Joyce Ann Skirtish, age 71 of Pittsburgh, died Sunday, November 11, 2018. She was born on October 22, 1947 in Farmington, West Virginia, the daughter of the late Marco and Anna Sokolosky Skirtish. Joyce was a former property manager for apartments in the Pittsburgh area. She was an award-winning baton twirler and enjoyed fishing and bowling. Ronald Francis McEvoy, Jr., 59, of Elizabeth, passed away unexpectedly, Monday, November 12, 2018 at Jefferson Hospital. He was born May 17, 1959 in McKeesport and was the son of the late Ronald Francis McEvoy, Sr. and the late Noreen A. (Stragand) McEvoy. Ronald was US Marine Corps Veteran and served as a Lance Corporal. 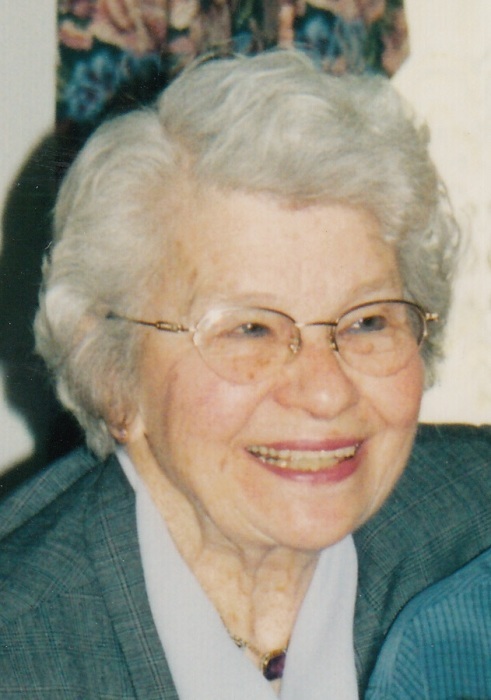 Dorothy K. Berkley, age 90 of York and formerly of Mt. Vernon, passed away on Monday, November 12, 2018 at Well Span York Hospital. She was a member of St. Patrick’s Roman Catholic Church in McKeesport, a member of the Women’s Guild and The Catholic Daughters of America, McKeesport Court. Born February 29, 1928 in Port Vue, she was the daughter of the late Emil “Abe” and Kathryn (Patrick) Potersnak. Dorothy joins her husband, the late Dr. Mark Berkley, who passed away June 19, 1999. Catherine “Rose” Roseann Zofchak, 86, and her daughter Catherine “Cathy” R. Zofchak, 66, both of Clairton, passed away at home on Friday, November 9, 2018. 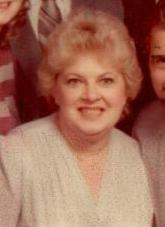 Rose was born in Colver, PA May 9, 1932 to the late Jess Wainwright and Evelyn C. Williams Beckner. Rose was a loving wife, for 41 years, to the late George Zofchak II who passed away in 1991. Along with her parents and husband, she was preceded in death by son, George Zofchak III; brother, Henry Beckner; sisters, Edna Yando, Dorothy Crookham, Louise Richardson, Christine Lewis, Irene Simpson, and Shirley Stegman. Rose resided in Clairton her whole life, was a member of Pine Run United Methodist Church, enjoyed reading, church, collecting novelties, her children and was very patriotic. Ronald S. Kirkwood, 49, of Uniontown died Nov. 11, 2018. He is the son of Ronald Kirkwood and the late Florence (Michalosky) Kirkwood. He is survived by his fiance Joannie; sons Keith, Jason and Phillip Wadsworth; brother Chad (Cathy) Kirkwood; also nieces, nephews, cousins and aunts. Ron was a firefighter in Uniontown. Friends received Wojciechowski Funeral Home, Glassport, Wed. 2 to 6, at which time a funeral service will be held with Rev. Hal Dangel. 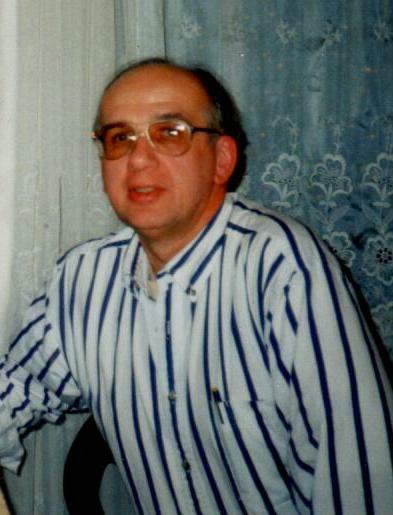 Michael J. Stepansky, age 60, of North Huntingdon, died Nov. 10, 2018, at his home. Born Jan. 23, 1958, in McKeesport, he was a son of the late Leo and Edith (Buckley) Stepansky and the husband of Cynthia (Figel) Stepansky. Caroline Skrtic, age 90 of Port Vue, died Friday, November 9, 2018. She was born April 14, 1928 in Glassport, the daughter of the late Michael and Amelia George D’Annunzio, and the wife of the late Paul G. Skrtic. Caroline was a member of St. Mark Parish and of the Port Vue American Legion, Post 447 Women’s Auxiliary. She is survived by her son Thomas M. Skrtic of Lawrence, Kansas; daughter, Catherine Ann Skrtic of Lawrence, Kansas; sister, Judith (the late Walter) Kapuska of Brainerd, Minnesota; nephews, Albert, Joseph and John D’Annunzio, Michael Thomas, and Christopher Kapuska; nieces, Mary Ann Kennedy, Margaret Feltz and Patricia Rodman. She was preceded in death by her brother Albert D’Annunzio and sister Mary Ann Thomas. 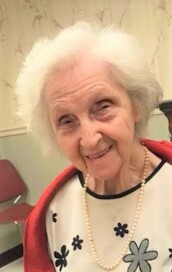 Jeanette Neiman, age 99, of McKeesport, died Saturday, Nov. 10, 2018. She was born in Braddock on June 24, 1919 and is the daughter of the late Beni and Rose Halpert Berger. She is the wife of the late Max Neiman and is survived by daughters; Marlene (Dr. David) Jacobs of McKeesport and Sheila (Dr. Paul) Spivak of Carnegie, grandchildren; Jeffrey (Marilyn) Jacobs, Benjamin (Jennifer) Jacobs, Robert (Renee) Spivak, Alicia (Albert) Sohnen and Todd (Melissa) Spivak, also great grandchildren. Regina J. 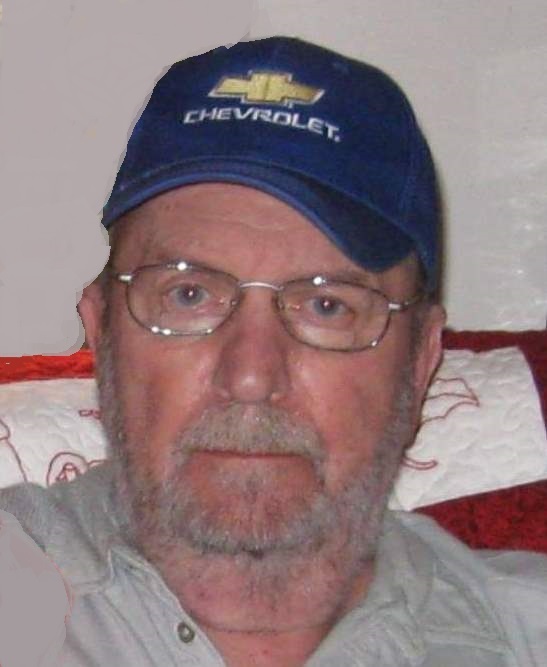 (Ring) Lowe, 76, of North Huntingdon, passed away Thursday November 8, 2018. She was born September 7, 1942 in Pittsburgh, a daughter of the late Leo and Mary Agnes (Willis) Ring. She worked as a sales associate for Fashion Bug, Irwin. Regina enjoyed traveling and visiting casinos. She is survived by her husband Willis E. Lowe; children Traci (Shawn) Steffey of Manor, and Steven (Diane) Lowe of North Huntingdon; grandchildren Nicole, Shawna, Steven, Sierra, and Sidney; her sister Mary Wentroble and brother John (Pamela) Ring both of Plum. Michael J. Palyo, 78, of Lincoln Borough, passed away Friday, November 9, 2018. He was born August 4, 1940 in Clairton and was the son of the late Michael and Helen (Duch) Palyo. He is survived by his wife of 58 years, Mary Ann (Gajdzik) Palyo; his loved and greatly appreciated children, Deborah (Thomas) Honaker of Elizabeth Township, Mark Palyo of Columbia, VA, John (Kae) Palyo of Lincoln Borough; his grandsons, who he adored and loved dearly, Derrick (Ashlee) Honaker, Ryan (Gabriella) Honaker, Jacob (Katrina) Palyo, and McGregor Palyo and his granddaughter, Emma Palyo, who he loved dearly and was his pride and joy, and his 3 special great-granddaughters, Reese, Ada and Lena Honaker, brother-in-law, David (Chris) Warner, uncle, John Vento, and many nieces, nephews and cousins. M. Ruth Yacko, 86, a resident of Concordia Lutheran Home, Cabot, Pa. formerly of North Huntingdon, passed away Saturday, November 10,2018. She was born March 7, 1932, in McKeesport, a daughter of the late John Robert and Mary Elizabeth White Jones. She was a member of Norwin Alliance Church where she served as a deaconess. She was also involved in leading women’s prayer fellowship, children’s church, youth group, VBS and nursery, also backyard clubs at her home. In addition to her parents, she was preceded in death by her husband of 65 years, Peter Yacko; sons, Lowell and Darrell Yacko; brother Ellis Jones and sisters; Elizabeth Bowland and Doris Morrison. She is survived by daughters, Mary Forbes, and Darlene (John) Hanko; daughter-in-law, Verla Jenkins Yacko, seven grandchildren; three great grandchildren; also nieces and nephews. Friends and family will be received from 2 to 4 and 6 to 8 p.m. on Thursday, November 15 at the James W. Shirley Funeral Home, 176 Clay Pike, North Huntingdon. A funeral service will be held at 11 a.m. on Friday in the funeral home with Rev. Richard Jenks officiating. Interment will take place at Long Run Cemetery. www.shirleyfuneralhome.com. James T. Kovalcin, age 86 of North Huntingdon died November 9, 2018 at his home. He was born July 25, 1932 in Duquesne, a son of the late John and Elizabeth Palyo Kovalcin. James was a member of St. Agnes Church, North Huntingdon. Prior to his retirement he was employed as a metallurgist for U.S. Steel Duquesne Works. He enjoyed bowling and golfing and was a veteran of the U.S. Army having served in the Korean War . He was preceded in death by his beloved wife Evelyn Jones Kovalcin, 4 brothers and three sisters. He is survived by two sons, Bob Kovalcin, Craig Kovalcin (Sherri), one daughter, Andrea Kovalcin (Chris), 7 grandchildren, Christopher,Derek (Nicole), Jessica (Bryan),Bobbie, Zachary (Brittany), Mollie, Cody, 7 great grandchildren. Friends will be received at the James W. Shirley Funeral Home on Monday 2-8. A funeral mass will be held Tuesday at 10 a.m. at St. Agnes Church followed by interment at Penn Lincoln Memorial Park. Memorials may be made to the Norwin Community Resource Center. www.shirleyfuneralhome.com. ,Elsie B. Proctor 93 of North Huntingdon died November 9, 2018 at Excela Westmoreland Hospital. She was born September 6, 1925 in Eighty Four, PA. Daughter of the late Charles and Katherine McCabe Bowers. Prior to retirement Elsie was employed as a Teller at Irwin Bank & Trust with 24 years of service. 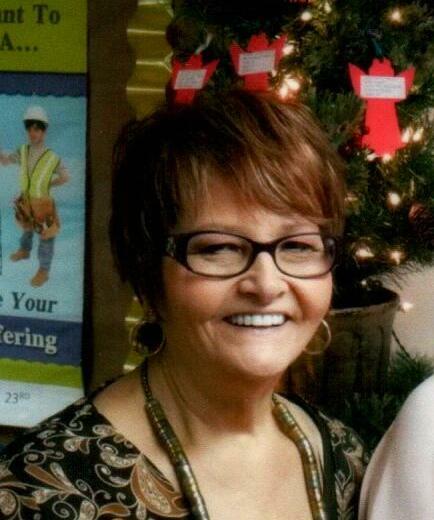 She was an active member of Circleville United Methodist Church and AARP Chapter 3221. In addition to her parents she was preceded in death by her husband Mason Proctor in 1996 and sister Ada Barber. She is survived by son Richard (wife Carol) Proctor, grandchildren Kelli (husband Joseph) Maryanski and Jason (wife Julie) Proctor. Great grand children Kiera, Kaetlyn. Austin, Tyler, and Kathryn, special friends, Betty Gonos, Beverly and Marshall Gorr. Visitation will be Sunday 2-4,6-8 p.m at the James W. Shirley Funeral Home Inc, Clay Pike, North Huntingdon. A service will be held on Monday at 11 a.m. in the funeral home chapel. Interment will be at Penn Lincoln Memorial Park. www.shirleyfuneralhome.com . Memorials may be made to Circleville United Methodist Church. Mary A. Geissler, 83 of Dravosburg passed away November 7, 2018 in Lawson Nursing Home after a short illness. She was born May 26, 1935 in McKeesport the daughter of the late Samuel and Anna Waladjia. She was the wife of the late Lloyd D. Geissler. Mary is survived by neices and nephews. According to her wishes there was no visitation. Funeral mass was held at 1:00pm friday November 9,2018 in St. Nicholas Byzantine Catholic Church. Private burial followed in McKeesport Versailles Cemetery.Arrangments were under the care of the William H. Craig Funeral Home,McKeesport,Pa. Margaret J. Perhats, age 80, of Port Vue, died November 7, 2018, at home. Born September 30, 1938, she was the daughter of the late Lewis Joseph Smith and Kathryn (Ward) Smith Heidler and the wife of Richard A. Perhats, Sr., for 54 years. Karen Remensnyder, age 65 of Baldwin, passed away at home on Tuesday November 6, 2018. She worked as an operations manager at Alcosan and a legal secretary for Fuge and Weiss Law Offices in Clairton. Born November 16, 1952 in Pittsburgh, she was the daughter of the late Wilmer and Ellen (Adkins) Remensnyder. She is survived by her niece Erin Remensnyder of Robinson Township; nephews John and Joshua Daerr; great-nieces-and-nephews Paul Remensnyder and Nathan, Johnathon, and Brittney Daerr; sister-in-law Marcianne Remensnyder; and brother-in-law David Karako. Bette J. Hoffman, 93, of White Oak, passed away Wednesday, October 31, 2018 at home. She was born February 23, 1925 in McKeesport and was the daughter of the late Albert and Irma Csah Borsi. She was the wife of the late Russell W. Hoffman, who died August 2, 1983. 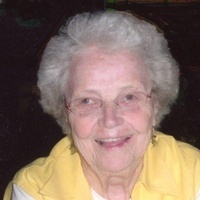 Bette was a graduate of the McKeesport Hospital Nursing Class of 1946 and was an honorary member of the Nurses Alumni Association, as well as The Army Nurses Cadet Corps during World War II . She was also a member of the William Penn Association. She leaves behind several very dear friends. 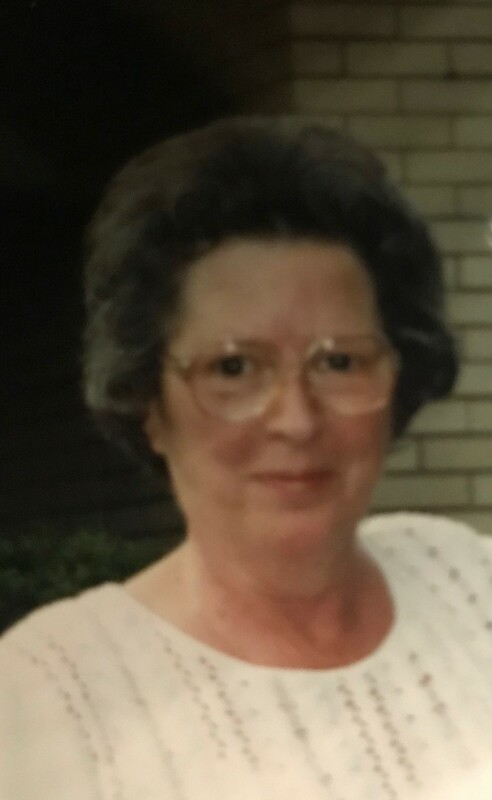 Theresa L. Ross, age 79, of Christy Park, died October 27, 2018, at UPMC McKeesport. Born December 8, 1938, in Blairsville, PA, she was the daughter of the late James Alfred and Sylvia (Freeline) Brownfield and the wife of the late Charles D. Ross, Sr.
Fred J. Hirosky, age 83 of McKeesport, passed away on Monday, November 5, 2018 in Forbes Hospital, Monroeville. Born October 23, 1935 in McKeesport, he was a son of the late John and Elizabeth (Wargo) Hirosky. A retired security guard at McKeesport Hospital who also worked as a senior companion for the Area Agency on Aging, Fred attended St. Patrick's Church in McKeesport and was a member of the 11th Ward Club in McKeesport, the Liberty Vets, the Boston Vets, Versailles Croatian Club #146, and the Port Vue American Legion. Elizabeth M. Lee, age 97 of McKeesport, died Tuesday, November 6, 2018. She was born July 30, 1921 in McKeesport, the daughter of the late John and Mary Golya Robb and the wife of the late William White and the late George Lee. She was an expert at knitting and won many awards over the years, she volunteered at McKeesport Hospital, was employed at McKeesport City Hall and loved being around children of all ages. She is survived by her daughter, Karen Wedge of Bethel Park; 9 grandchildren; many great-grandchildren; 2 great-great-grandchildren, and nieces and nephews. She is preceded in death by her son, James White; and 11 siblings. Divine Liturgy of Christian Burial will be held on Friday, November 9, 2018 at 10:00 am at St. Nicholas Byzantine Catholic Church, 410 Sixth Ave., McKeesport, PA 15132, with Fr. Donald Voss officiating. Dominic F. Ross, age 58, of McKeesport, died on Tuesday, November 6, 2018. He was born on November 30, 1959 in McKeesport, the son of Carolyn Szekely Ross and the late Dominic Ross. He was a licensed Inspection/Emissions Technician at Steel City Auto in McKeesport. He enjoyed riding his Harley, working on his Trans Am and loved spending time with his grandchildren. He was passionate about driving his 18 wheeler, which allowed him to travel and see the country. He had a heart of gold and often helped anyone in need. 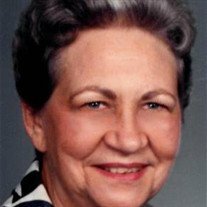 Wanda L. (Crownover) Hummer, age 89, of Elrama, passed away on Tuesday, November 6, 2018 at Country Care Manor in Fayette City. She retired after 20 years as Postmaster at the Imperial Post Office. She was a member of St. Isaac Jogues Roman Catholic Church in Jefferson Hills where she was a member of the Christian Mothers. She was a former member of Elrama Volunteer Fire Department’s Ladies Auxiliary. 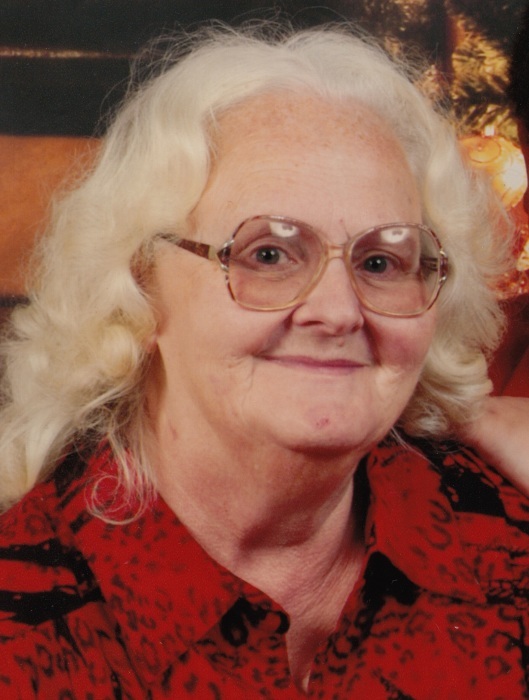 LaVerne Katherine Little, 79, of North Huntingdon, died at home, Wednesday, November 7, 2018. She was born December 10, 1938 in McKeesport, daughter of the late John and Matilda (Kirschner) Kalkbrenner. In addition to her parents, she was preceded in death by her husband, C. Ernest Schneider (1957-1982) and husband, Paul Little (1984-1997). She is survived by four daughters, Tammy Gribbin and her husband, Ronald, Robin Schneider, Lori Gallagher and her husband Ronald and Faith Kosmack and her husband, Joseph. Two step-daughters, Sharon Yoder and her husband, Carl, and Janice Lyle and her husband, Kurt; six grandchildren; nine great-grandchildren; six step grandchildren; and 16 step great-grandchildren. Brothers, Ralph Kalkbrenner, James Kalkbrenner and Raymond Kalkbrenner. There will be no visitation. A memorial service will be held on Saturday, November 10, 2018 at 1 p.m. in The Christian Center, 130 Charity Lane, Belle Vernon, PA 15012. In lieu of flowers, donations may be made to the American Cancer Society. www.shirleyfuneralhome.com. Margaret Mary Seriana, 91, of Greenock, passed away at home on Sunday, November 4, 2018. She was born February 3, 1927 in Wilkinsburg and was the daughter of the late Michael and Anna (Soltis) Drutarosky. She was the wife of the late Louis John Seriana who died March 12, 2000. She was a member of St. Patrick Parish in Christy Park. She is survived by her daughters, Sharon (Fran) Pomay and Lou Ann (George) Evangelista of Greenock, sister, Helen (David) McKinnon of Sparks, NV, grandchildren,William (Kristin) Hutchison, Tracy (Craig) Stephenson, Heather (Glenn) Davis, and Lindsey (Dan) Duda, great-grandchildren, Logan and Lucas Stephenson and Cole Davis and Brinley Duda, nieces and nephews. John Albert Easterday, 76, of North Versailles, passed away Sunday, November 4, 2018 at home. He was born April 9, 1942 in Martinsburg, WV and was the son of the late Albert and Sylvia James Easterday. John worked in maintenance for many years for Haddad's in Penn Hills. He was an avid outdoorsman who loved gardening and fishing. He is survived by his wife of 28 years, Debra J. (Dixon) Easterday, daughters, Rosemary Lemere of Winchester, VA, Jeanie Easterday of Hedgesville, WV, Sherry (Larry) Cunningham of Martinsburg, WV, and Crystal (Mike) Barbina of Shinston, WV, sons, John (Robin) Easterday, Anthony Easterday and Ricky Easterday, all of Martinsburg WV, sisters, Mary Everhart of Hedgesville, WV and Rachel Jacques of Owensboro, KY, brother, Paul Easterday of Martinsburg, WV, 14 grandchildren, 1 great-grandson, nephew and Godson, Max Dixon of West Newton, as well as many nieces and nephews. 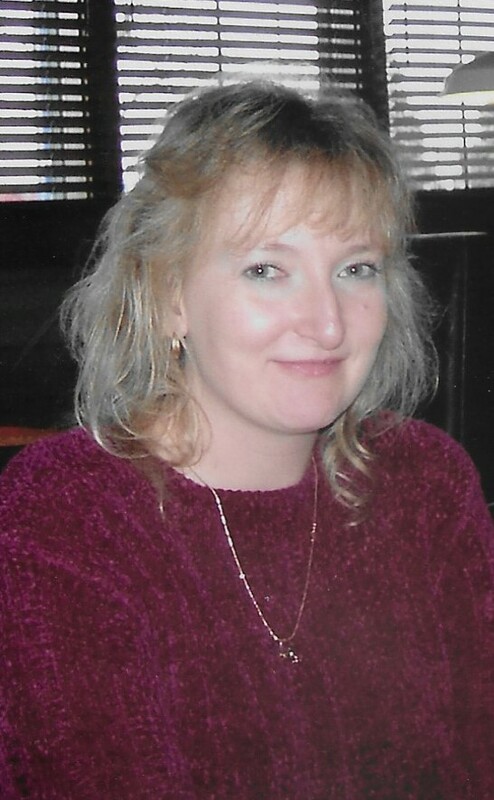 Valerie Ann Elbrecht, age 54 of Port Vue, died Friday, November 2, 2018. She was born on March 8, 1964 in Pittsburgh, the daughter of the late Edward and Virginia Bik Elbrecht. 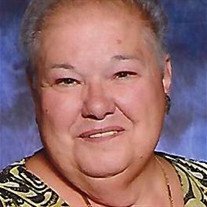 Laura Mae (Hansen) Kircher, age 69, of Liberty Boro passed away Saturday, November 3, 2018. She was born February 25, 1949 in Wilkinsburg, the daughter of the late Harry and Annetta (Hardman) Hansen. She worked as Doctor’s Assistant for over 10 years with Dr. David Jacobs in McKeesport. She enjoyed computers, jigsaw puzzles, gardening, flowers, and butterflies and was an avid reader. In addition to her parents, she is preceded in death by her husband Donald H. Kircher Sr.; grandson Breanne Byrne; and brother Harry “Bud” F. (Patti) Hansen. She is survived by her children Donald H. (Wilma) Kircher Jr. of Liberty Boro, Kristina R. (fiancé Melvin Rodgers) Byrne of Glassport and Karrie Anne (Rodney) Krivansky of Glassport; 14 grandchildren; 11 great grandchildren, numerous nieces and nephews; and her dog Ginger. 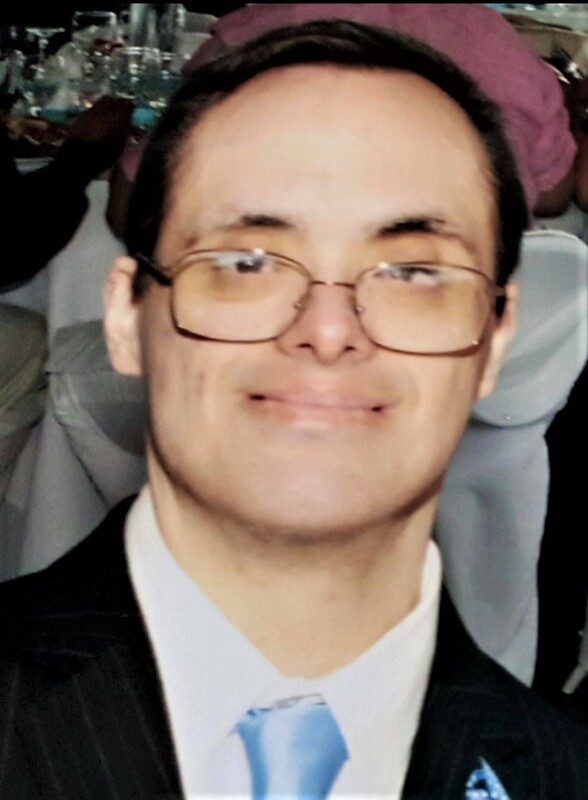 Daniel C. Potts, 45, of Forward Township, passed away at home on Saturday, November 3, 2018. He was born December 7, 1972 in Pittsburgh and was the son of Margaret (Torok) Potts of McKeesport and the late Daniel S. Potts. Daniel was an Electronics Technician. He loved hunting, fishing, riding his Harley and living on his farm. In addition to his mother, he is survived by his wife, Lisa Marie (Rostosky) Potts, sister, Heather (Russell) Burchell of Irwin, nieces, Aubrey, Brenna and Cayla Burchell, sister-in-law, Sherry Rostosky of Forward Township, aunts, uncles and cousins. Judith (Judi) Gayle LeBreton Care, 79, of (Penns Woods) North Huntingdon, passed away Monday, November 5, 2018. She was born, March 15, 1939 in McKeesport, Pa., a daughter of the late Nelson and Phyllis (Pope) LeBreton. She was preceded in death by her sister, Katherine (LeBreton) McCarty. She is survived by her husband of 60 years, Ron Care; children, Debra (Kevin) McLean, Scott (Kathy) Care, and Cheryl (Eric) Campbell; grandchildren, Joseph and Emily Campbell; step grandchildren, Francene Patterson and Andy Petro, their spouses and children; and a brother, Zane (Dianne) LeBreton. She is also survived by loving sister-in-law, Audrey Gayle (Care) Carter and her husband, George; brother-in-law, Chester Care; and many nieces and nephews. Judi graduated from McKeesport Area High School in 1957, and went on to have a successful career in banking, first with McKeesport National Bank (later Equibank) and First National Bank of Herminie. After her retirement from banking, she worked briefly at H&R Block, then at Keystone Collections Group until her passing. Visitation will be Friday from 2-4 and 6-8 p.m. at the James W. Shirley Funeral Home, 176 Clay Pike, North Huntingdon. A funeral service will take place on Saturday at 10 a.m. in the funeral home. In lieu of flowers, donations may be made to Norwin Area Meals on Wheels. www.shirleyfuneralhome.com. 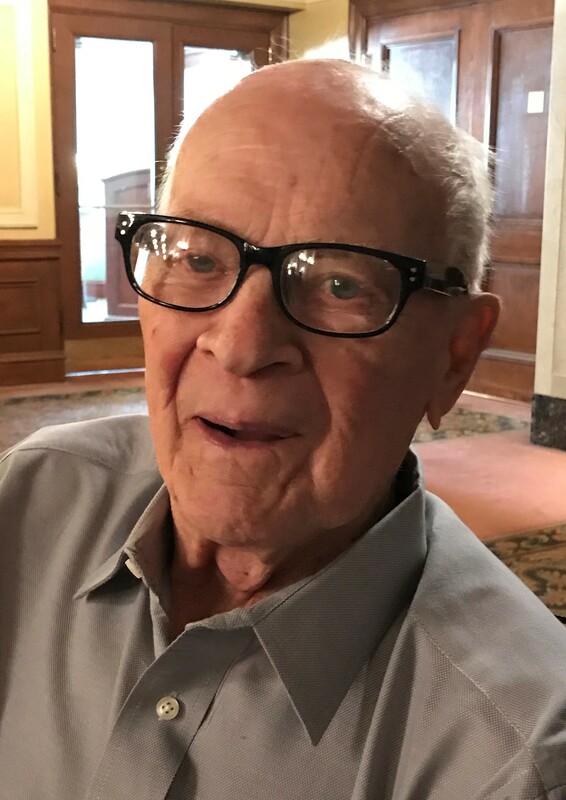 Richard C. Davies age 97, of West Mifflin, passed away peacefully in his home on November 4, 2018 with his wife by his side. 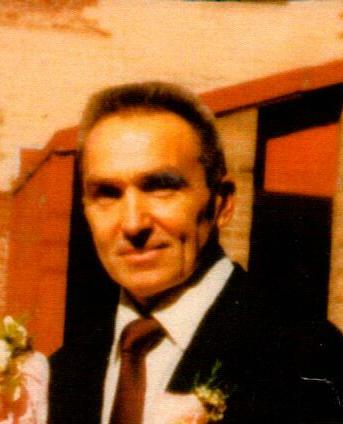 Beloved husband of 10 years on November 8, 2018 Mary Jane (Tarabek) Beresnyak Davies; loving father of Mary Patricia Anne (Anthony) Boddy; grandfather of Mandy & Steven (Nicole) Boddy; great-grandfather of Zachary & Amelie Boddy & step great grandson Marcus Boddy; stepfather of Roseanne (James) Gordon of West Mifflin, Susan (James) Fiordeliso of Philadelphia, Amy (Dr. Robert) Nassif of Adams twp., Frank (Josephine) Beresnyak Jr. of North Huntingdon. Step grandfather of 8: Jane & Evan Fiordeliso, Olivia & Julia Nassif, Anna, Bella, & Gabby Beresnyak, and Matt (Molly) Gordon.Richard was born in London, England on April 19, 1921 to the late Leonard and Edith Mary (Dunsidon) Davies. He was a housing official for the local government in England. In 1940, at the age of 20 years, he volunteered into the Royal Air Force. In 1942, he trained as a wireless operator and in 1943 was trained as an air gunner to get his wings and sergeant stripes. In March of 1943, he was a radio flying instructor. In January of 1945, he was in operation training in Wellingtons Bomber. In June of 1945, he flew with the 135 Squadron Lancaster and flew a total of 1000 hours. In 1946, he was demobilized with the rank of warrant officer. He was a member of Christ the Light of the World Parish. He attained celebrity status since coming to the United States being recognized in stores and in public.Visitation on Wednesday November 7, 2018 2-4 pm & 6-8 pm at Maloy-Schleifer Funeral Home, Inc., 915 Kennedy Ave., Duquesne, 412-466-3300, where a Blessing Service will be held on Thursday November 8, 2018 at 930 am, followed by Mass of Christian Burial at Holy Name Church of Christ the Light of the World Parish at 10 am, Rev. Thomas Lewandowski officiating where military honors will be rendered. 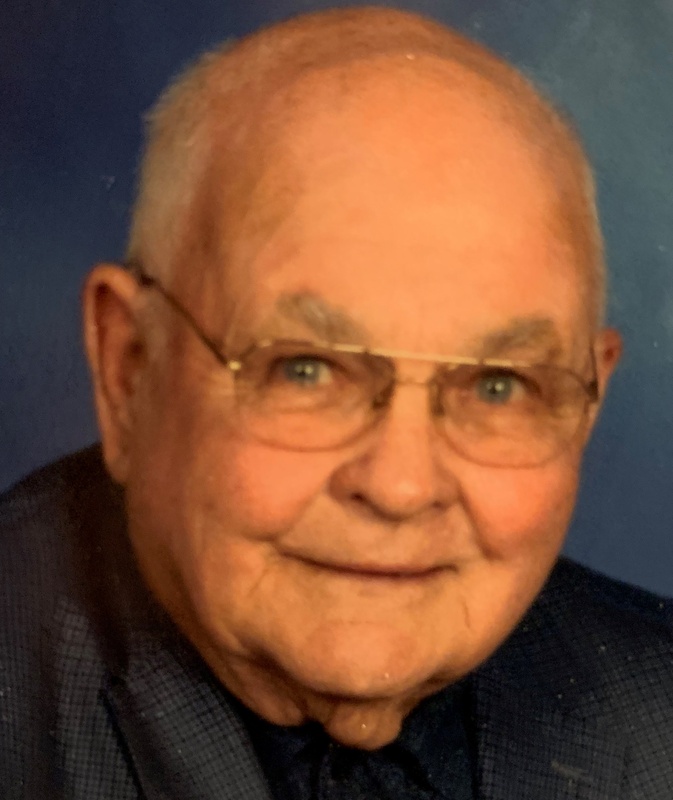 Dale Eugene Taylor, 84, of Buena Vista, died Thursday, November 1, 2018. He was born April 22, 1934 in McKeesport and was the son of the late John and Jennie (Glasser) Taylor. Dale was retired from US Steel National Tube Works and was a 50 year member of West Newton Blythe Lodge 593 F & AM. He is survived by his wife of 65 years, Carol Ann (Rupert) Taylor, daughter, Diane L. (Allan) Lombardo of Elizabeth Township, son, Dean Charles (Janet) Taylor of Meadeville, grandchildren, Kelly (Seth) Boyer, Alissa (Andrew) Tarasyuk and Clinton (Jessica) Taylor, great-grandchildren, West Allan Boyer, Avienna Marie Boyer and Van Anthony Boyer, and Elizabeth Taylor and Wyatt Andrew Tarasyuk, niece, Donna (Dennis) Watson and brother-in-law, Ronald (Judith) Rupert. 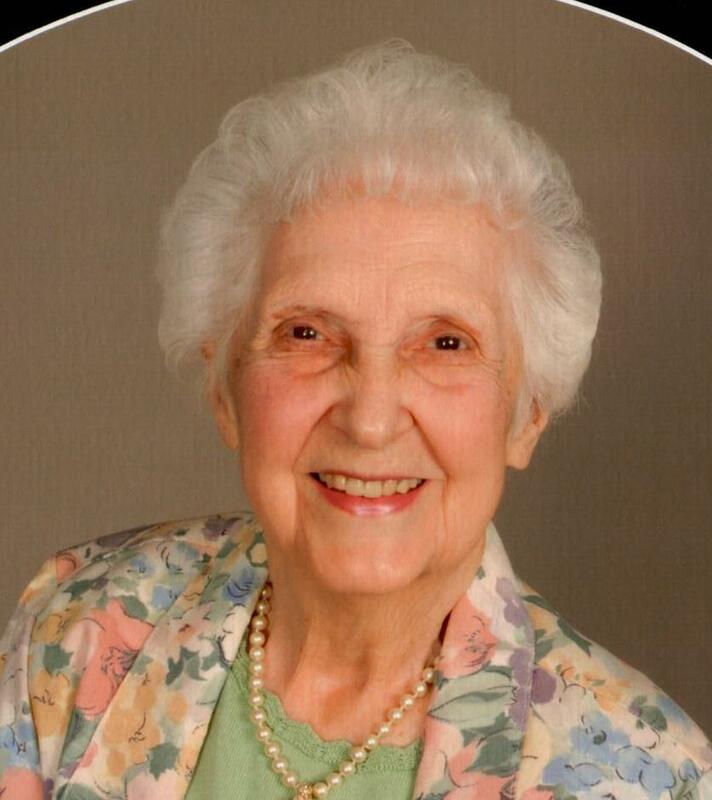 Annabelle (Francetic) Kolic, age 93 of Port Vue, passed away on Thursday, November 1, 2018 at Riverside Care Center in McKeesport. Born September 8, 1925 in McKeesport, she was a daughter of the late John and Ann (Rendulic) Francetic. Annabelle was a photographer for Westinghouse, Inc. in East Pittsburgh, a member of Corpus Christi Parish in McKeesport, Club Dobrotvor, C.F.U. Lodge #3, and Mon Yough Friendship Club. 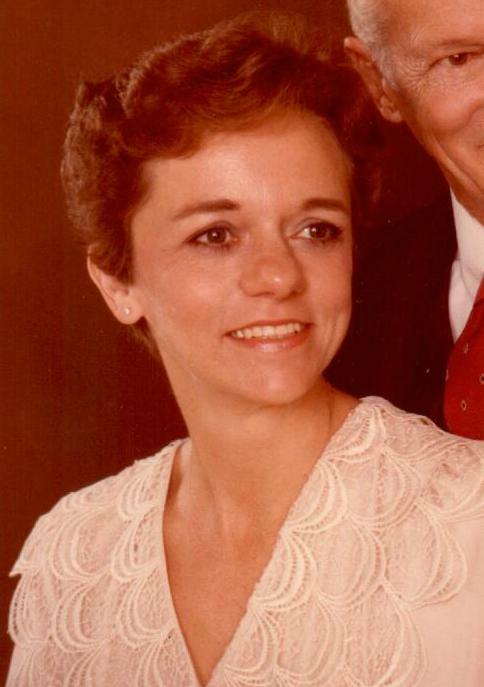 Karen L. Kobulinsky, age 72, of Port Vue, died November 1, 2018, at UPMC Presbyterian. Born May 31, 1946, in McKeesport, she was the daughter of the late Homer and Martha (Lewis) Jones and the wife of Terrance M. "Terry" Kobulinsky. Theresa Mae Dobrich, 90, of Elizabeth, passed away peacefully at home on Tuesday, October 30, 2018. She was born July 15, 1928 in Altoona and was the daughter of the late Frank and Irene White. She was the wife of the late Robert "Bo" Dobrich who died May 4, 2003. Theresa was a member of St. Michael Parish in Elizabeth Township and the Forward Township Senior Citizens. She was a former School Crossing Guard in Elizabeth Borough. She is survived by her sons, Gary J. Dobrich of Chicago, IL, and Shawn Dobrich of Livermore, CA, daughters, Pamela Bizila of Indianapolis, IN, Winona Dobrich of Elizabeth and Diane Dobrich of West Mifflin, 5 grandchildren, 5 great-grandchildren, nieces and nephews.